Many of you readers let me know that you enjoyed traveling with me out and about so today I am sharing some new discoveries from my vicarious travels. While some of you may be lucky enough to be attending the Biennale des Antiquaires in Paris next month, the rest of us will have to wait for the reports. I’m looking forward to seeing how Jacques Granges recreates the gardens of Versailles under the glass dome of the Grand Palais. In addition to art and antiques, the Biennale is where the major jewelry houses bring their A games. To get an idea of the level of jewels and workmanship, take a peek at this short video from Chaumet. 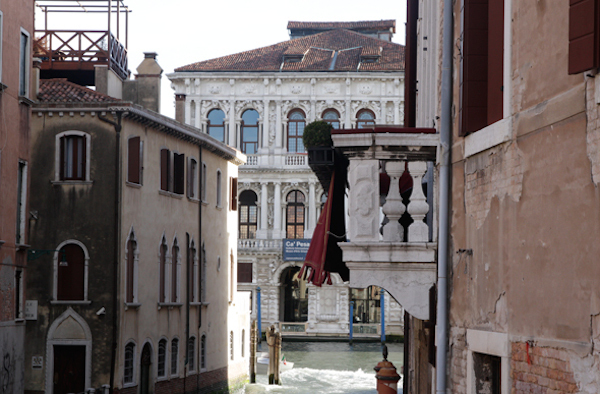 And if you have an extended stay in Europe, you could pop over to Venice where Dom Pérignon is partnering with the Fondazione dei Musei Civici di Venezia to renovate two exhibition rooms in the Ca’ Pesaro palace, scheduled to open mid October. Also home to the International Gallery of Modern Art, the rooms will host exhibitions that feature young artists. And speaking of Italian artists, those of you who follow along on instagram may remember my obsession with the boxes by Achille Salvagni at Maison Gerard. 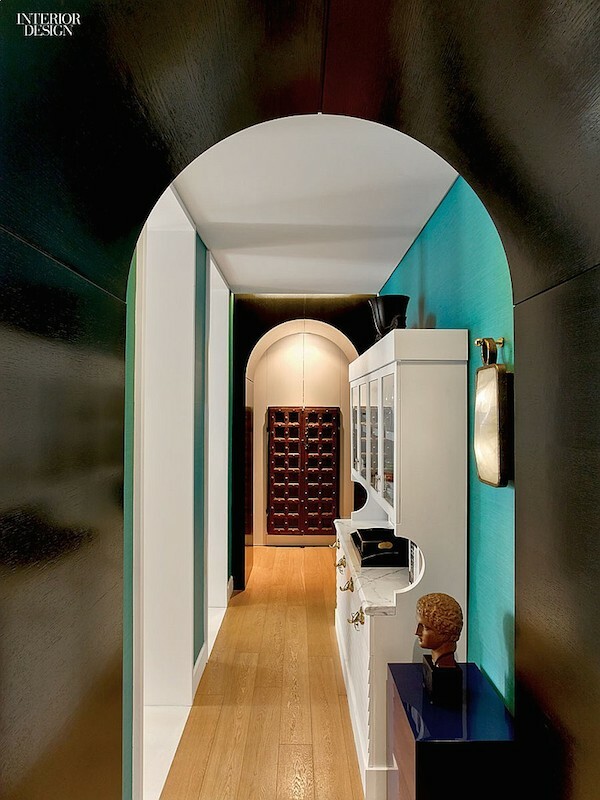 He is not only the creator of incredibly sophisticated collections of furniture, seating, lighting, objects and carpets, but also has a multidisciplinary firm for architecture and interior design. 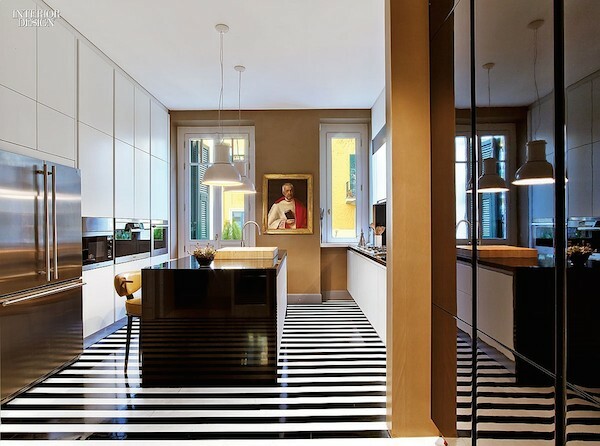 The multi-talented designer’s apartment in Rome was featured in Interior Design last month and is, not surprisingly, an incredibly chic interplay of old and new. Photos by Eric Laignel. Last fall we took a look at the stylish offerings in the gift shop at the wonderful Neue Galerie. This summer, several of their accessories in the collection were inspired by the early 20th century resort of Abbazia. Now part of Croatia, it was once the pearl of the Austrian Riviera. To learn more about this luxurious seaside location you can watch the Neue Galerie’s video, effectively narrated by museum director Renée Price, offering a brief history of this beautiful spot on the Adriatic. 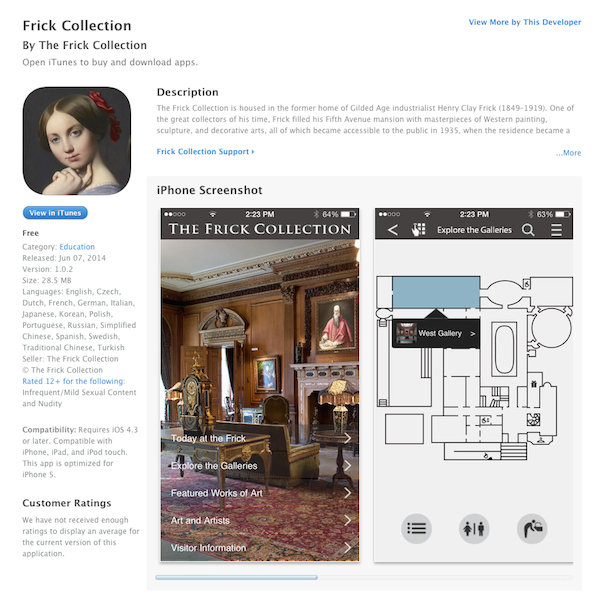 In other museum news, the Frick has just launched a new mobile app. You can now access every work of art in the museum’s permanent collection, searching by artist, genre, or gallery location. It is also connected to the Frick‘s database so you can find information about pieces or listen to audio commentary for select works of art which can be used while wandering the museum or in the comfort of your home! 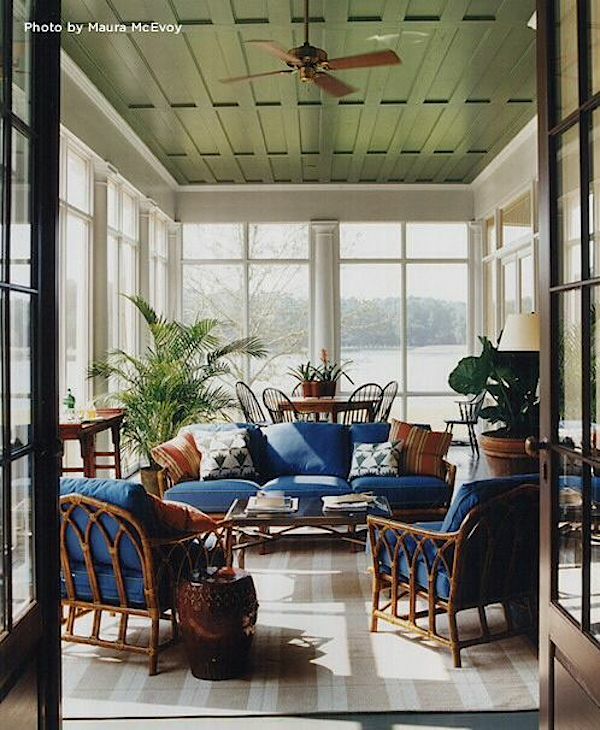 For those who prefer their travels armchair style, a screened porch is an ideal summer spot to peruse the paper, a book or iPad. 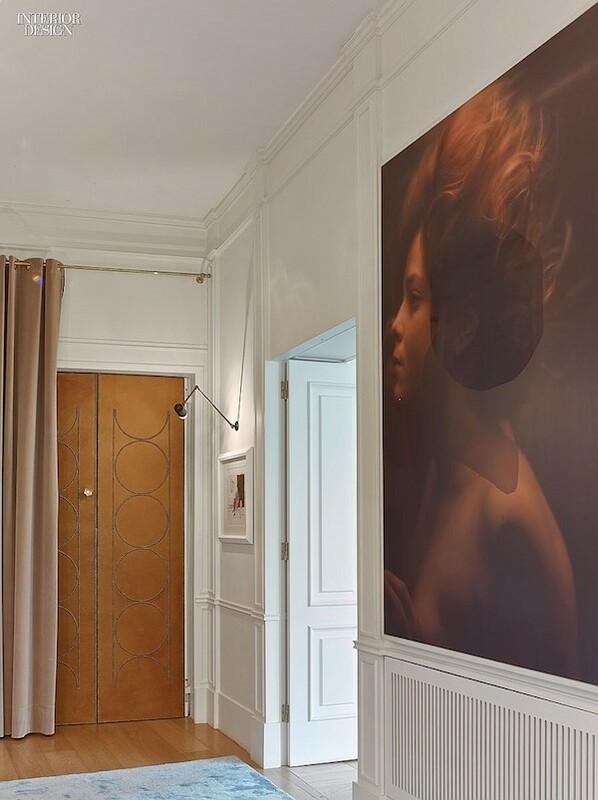 I loved the selection recently presented on 1stDibs, like this one by designer Thomas Jayne. Such a classic addition to any home. And as you’re settling in on your cozy porch for an afternoon siesta, you can learn how some people are harnessing the power of dreams. The power of sleep has become a buzz-worthy topic in many sectors, from experts in medicine to educators, who are now recognizing the advantages of starting schools later, to formerly sleep deprived executives such as Arianna Huffington, who I heard speak on the topic last year at the Design Leadership Summit. The bottom line? We can all benefit from more sleep. A recent Wall Street Journal article took it one step further, examining the merits of lucid dreaming, a state where sleeping people are aware of being in a dream and can, in some instances, control their actions. 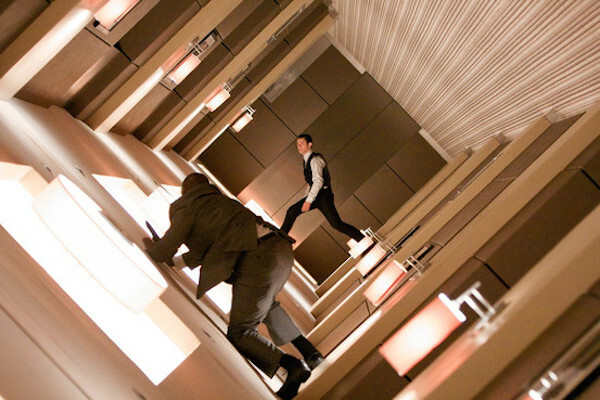 An inchoate version of the sophisticated machinations in the movie Inception, learned lucid dreaming can be used to improve performance, more effective problem solving and perhaps enhance creativity! This entry posted in architecture, art, design, furniture, interior design, travel. Entry Tags: interior design, Travel Bookmark the permalink. Each post is my favorite – until the next one! Fabulous article. You capture the allure of travel and the many ways to enjoy it’s inspiration. You inspire my design passions. We must travel together soon. I loved all of this Stacey. Thank you for the inspiration! 79 queries in 0.453 seconds.